Sweetest little things ❤: MCDONALD'S LAUNCHES NEW CEREAL EBI BURGER !! 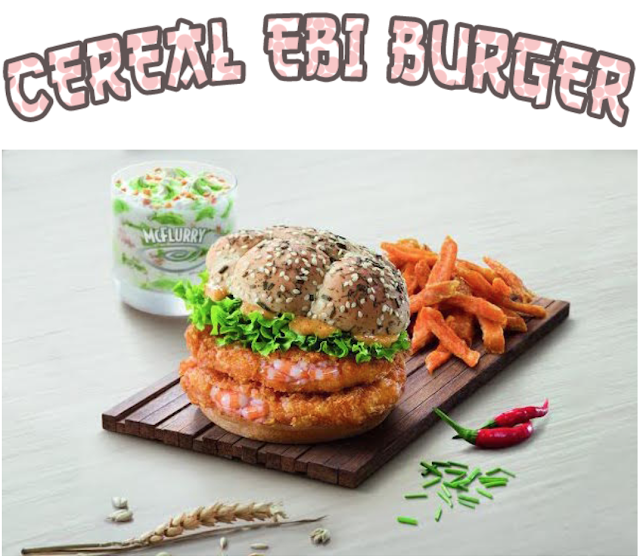 MCDONALD'S LAUNCHES NEW CEREAL EBI BURGER !! Anyone missing the Ebi burger yet?!! Because if you are, I'm super excited to announce that.. 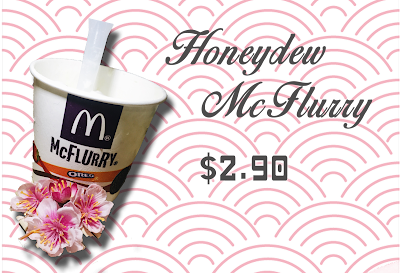 It's finally time for Singaporean's tastebuds to be treated once again with McDonalds's new creation!! Just this recent Monday, I had the honour of joining a few other bloggers to have a first taste of the cereal be burger thanks to Omy and I have to say, I am thankful that I made a "diet starts tomorrow" decision or I'll probably never have had my hands on one of these. For those who know me would probably be shocked by the fact that I actually had a McDonald's set meal for dinner but this was different. We were served a floral shaped bun with roasted white sesame seeds and chive with a crunchy cereal-coated shrimp patty. The patty was coated just right and along with the potato which gave it a slight mealiness texture and further topped with fresh lettuce and shrimp paste sauce. Its mildly spicy because of the onion, garlic and chilli padi but it leaves an enjoyable tingling sensation on the tongue (I have a considerably low tolerance for spice as a Singaporean fyi). If given a choice, I'll probably choose this over the usual french fries anytime. This whole set (+ small coke) would be available from $7.45 starting tomorrow! Well, McDonald's clearly knew that a meal isn't complete without dessert. 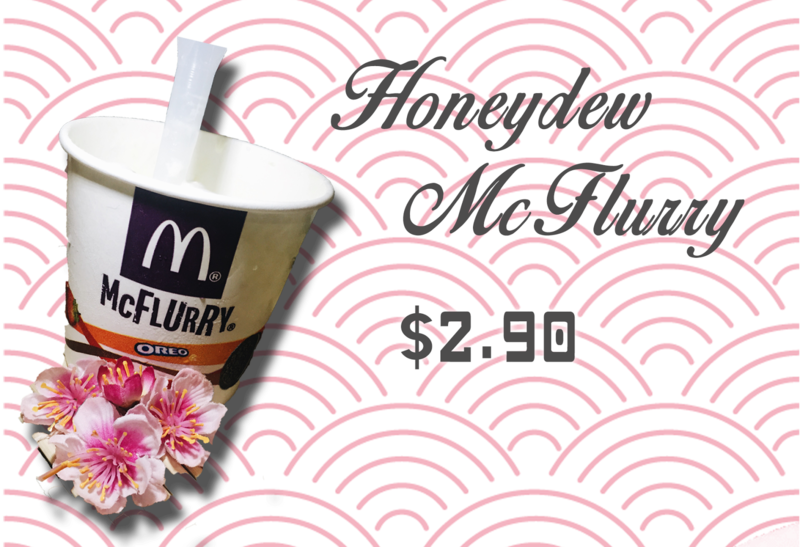 Our preview tasting session was a sweet ending with the Honeydew McFlurry! The taste reminded me slightly of the korean melon ice cream which I really love (not sure if you know which I'm referring to) but as a soft serve, I felt that it was a tad too sweet for me. Priced at $2.90, this will too be available starting tomorrow while stocks last. I'm not sure about others but I guess all in all, I would say that it's worth giving it a try especially since it's only going to be available while stocks last. A huge thank you to omy for the invite and AMK park McDonalds for hosting us. Kudos especially for the entire setting and props, it was really gorgeous and I enjoyed myself! And till my next, thanks for reading!